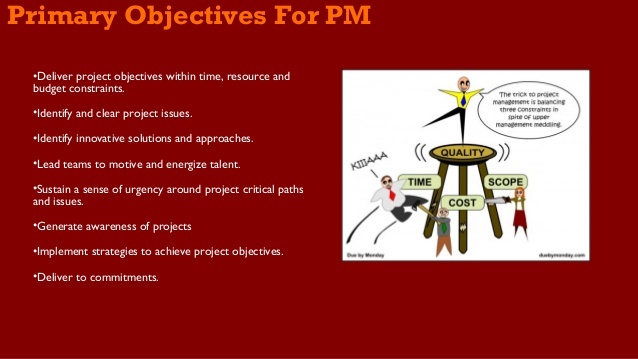 Learning Objective: On completion of this module, students will be able to describe, summarize and effectively utilize the best practice framework for project management. 1. Overview: What is a Project Management Framework? Answer the below questions on the project management framework as true or false. A project management framework is the use of tools and processes to transition a project from start to finish. A systematic approach to obtain specific outcomes or goals, using a scientific, structured approach - a way of working and techniques used, based on best practices. Simplify and assist with sharing of information: best practices, approaches, tools, etc. Create and share understanding of best practices: planning, management, control, etc. Contribute to setting standards and requirements for projects and improve competence levels. Access online notes: Key inclusions in a best practice project management framework, requires the correct blend of “planning, monitoring, and controlling can make the difference in completing a project on time, on budget, and with high quality results”. (https://skillsalliance.com.au/wp-content/uploads/Project-Management-Best-Practice-Framework.pdf). iii. What Are Milestones in Project Management? Answer the below questions referring to project scope with either true or false. Project scope refers to the detailed set of deliverables or features of a project. Scope does not cover project planning in relation to specific project goals and deadlines. Scope does not cover project planning in relation to specific project tasks, functions and costs. 1. The final written assignment is aimed to test Learning Objectives set out for Module 1: Project Management Best Practices. 2. Assessment will be based on critical thinking ability and problem solving skills. Maximum word count: 2500 words. Due date: 05 May 2017. Provide suggestions on how to lessen risk, with the intent of preventing future recurrence(s). 4. Students are expected to provide all reference sources used and acknowledge quotes accurately, to prevent Plagiarism. 5. Questions or problems can be addressed via the student discussion forum. Diagram: Developing a project management best practice. (http://www.pmi.org/learning/library/project-management-best-practice-organization-6167). Diagram: M Star Model suggested by Geek Displaced (https://opentextbc.ca/projectmanagement/chapter/chapter-4-framework-for-project-management-project-management/). Article: How to setup a project governance framework as a best practice. (http://www.virtualprojectconsulting.com/setup-a-project-governance-framework-as-a-best-practice/#sthash.UCPmPUlm.dpbs). Slideshow: Best practice frameworks 101. (https://www.slideshare.net/shailsood/best-practices-frameworks-101-3618145).